Clients testimonials and press – LuxuryCroatia.net team is focused in providing services at the best possible quality. Constant customer care is our priority. We are doing our best in all situations. Dorota Piernatzka, Poland, house buyer: after 2 years of intensive search for second home in Croatia, finaly we were offered by LuxuryCroatia team the best properties, we bought sea front house near Makarska. We were so happy. LuxuryCroatia team helped us to find renovation company, and now we rent house with LuxuryCroatia travel agency and we have nice income from rental! Oleg Dobrensky, Russia, villa buyer: I was intensively searching to buy villa on Brac island, on the seafront with pool and 4 bedrooms. I bought villa from Luxury Croatia offer, because they only had exclusive sale to this villa, which was off market sales. I needed confidential partner, and found it in Luxury Croatia team, and they manage my villa all year round and rent it while Im not using it. I appreciate your work LuxuryCroatia! 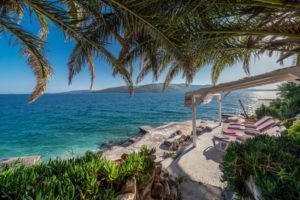 Andreas Gratentholm, Sweden, rental owner: I was pleased with work of Luxury Croatia team from the first day after I bought my beach front house in Dalmatia and made contract for property management and rental of my house. Luxury Croatia team cleans the house and meets guests, takes care of my house perfectly! They helped me with furnishing, gardening, implementing internet and cable tv. They take care of guests, I collect payments, this is soo good! Thanks to LuxuryCroatia team! Mike Stothard, England, buyer of house, island of Silba: Thank you for help! Thank you for assistance and guidance through the buying process! Thanks for driving me hundreds of kilometers to my accommodation after you picked me up at the ferry port. You are reliable and very professional! Your information and advices were very helpful and whole process was so quick and simple thanks to you! We were very happy to purchase our Silba house through your agency, therefore we decided to continue our cooperation with you through the property management of our house. The dinner was fantastic! It was an amazing time for the entire squadron and we greatly appreciate your suggestion and coordination. Everyone is very excited for the tour tomorrow (wine tasting and Trogir sightseeing). Thank you so much again for all the coordination, for organizing our stay in luxury apartments on the beach in Split and for organizing our trips and dinners in separated part of restaurant where we were able to have privacy, thanks for organizing our spa and wellness treatments! If there is any way we can rate/recommend/pass on your information please let us know. Your suggestions and help have made this trip perfect and we are very grateful. Inge Maria Wold Fabic, partner: Adriatic Traveller & Luxury Croatia Property offer a collection of the finest luxury villas with pool for tourists dreaming of their perfect holiday in Croatia. Spacious luxury villas where you can relax by the pool and enjoy your privacy, the company of your family, friends and business partners. Director Marija Bojcic and her staff have the knowledge and experience, service mind and discretion to provide their clients with a wide array of services to make their dream holiday come true, and there is practically no limit for what they can do for you, from arranging pre-arrival shopping service, yacht and boat charters, to gourmet food and wine supply – and everything between. Marija Bojcic and Adriatic Traveller & Luxury Croatia Property have my warmest recommendations. Beti Vidjak, partner: Finding a dream home, for the right price, in a great area is not a small thing, especially if you are a foreigner in a beautiful country. It is my opinion that Marija will be your best choice as an agent to find for you a dream house in Croatia. Her knowledge, professionalism, hard work and friendliness will be invaluable in getting you through the process of buying. As a business partner I’ve saw her ideas developing from scratch to a real business. Find us at Slideshare with this useful presentation: Croatia among top retirement destinations by Forbes magazine. We are listed on UK The Telegraph related to real estate market sales of luxury villas on top Croatian locations. The most exclusive villas in Dubrovnik by LuxuryCroatia.net in Croatian local portal Dubrovacki Vjesnik. Real estate market and how to buy in Croatia – interview in South Africa’s luxury Real Estate magazine. Below are listed reviews of our buyers and our guests who rented holiday villas with our assistance. We are thankful to serve such a great clients! Thanks for your great assistance in finding us holiday villa in Hvar! “Paradise in Dubrovnik!” From the first communication with Zdravka from LuxuryCroatia.net agency over 9 months prior to our vacation we were greeted with instant response and complete professionalism! Thanks for always being so communicative. Your attentiveness and professionalism are most appreciated! I also used to work in the travel industry and can see top notch people of which there are few like Zdravka from LuxuryCroatia.net! I have stayed in some of the finest hotels in the world. Villa with pool in Dubrovnik which we rented is certainly a stay that will rank among one of our favorites! The outdoor pool with hot tub and large outdoor seating area was the center of focus (4 couples) for an entire week! Incredible views to offer with gorgeous sunrises and sunsets overlooking the historic walled city of Dubrovnik, which is only a short walk away! The kitchen is extremely modern and well equipped including all the basic supplies necessary for cooking for a large group. When we first arrived we were warmly greeted by the owner and his staff. They seemed truly happy to see us even though they had been busy all day cleaning up from a rather less than tidy group. Ivana was our housekeeper for the week - she was a delight, changing the linens daily and quick to tidy up without ever being intrusive. Each unique bedroom is equipped with a king size bed and private bath. Towels, beach mats, and numerous other items were available for daily excursions. We prepared our own meals using the outdoor grills. There was even a wonderful selection of wines! This place is a must if you can book far enough in advance to find availability. Be sure to contact LuxuryCroatia.net team on time to book! We recently went to Croatia for our first time with our family. We had a group of 10 and from the moment I started planning Zdravka was extremely helpful and patient. She made suggestions of houses from the things we were looking for and suggested a fabulous house in Split called Villa Kastela. The location of the villa was perfect for us with enough space and amenities we needed. The manager, Mrs. Marija, could not have been nicer answering all our questions and calls and even sent us an item we forgot upon leaving. I highly recommend booking with Luxury Croatia and when the time comes for us to return I will be calling upon them again. Thank you! Last September we have spent a week in this great property, in a beautiful area close to Dubrovnik. An absolutely ideal place for a group of friends who like doing things together, but who also each like having some time in peace, on their own. We visited Cavtat, a pretty seaside resort with some excellent restaurants, beaches, shops etc. We returned there twice more to dine and to take the boat shuttle across the bay to Dubrovnik, which is the most leisurely way of reaching the very centre of the famous old town, otherwise frightfully jammed by tourists. We have had a mighty storm one day, which cooled down the air to a degree that offered ideal conditions for walking through the nearby countryside, which offers some amazing views and panoramas. When we were not discovering the area on foot or by car, we would spend our time lazing by the pool, enjoying the views of the cypress clad hills in the distance and making barbecues. What a wonderful experience. Highly recommended! Villa is a perfect place for a family retreat near Dubrovnik. The grounds are beautiful and serene, the pool is a delight for children and adults, and the house is very comfortable with spacious rooms and even two kitchens! We had a family reunion for one week with family visiting from different places around the world, and it was an ideal meeting point - everyone was relaxed and enjoyed the holiday so much. The very short drive from the airport was also very convenient, and it was easy to get to Cavtat and Dubrovnik by car or uber. The kitchens had everything we needed, and we enjoyed various treats provided by the housekeeper, who is a talented cook and baker. The ower was always very responsive, before and during our visit. We absolutely loved our stay! My wife and I were invited to a wedding in Dubrovnik, and we decided to spend a few extra days with friends, somewhere "in the vicinities, possibly in a quiet, shaded place". We were lucky to find just what we were looking for. A house tucked behind old walls, barely visible from the outside, hidden by clusters of oaks, walnuts and bay trees, and yet in the very middle of a small, sleepy village. It turned out to be a blissful vacation: we have spent some lazy, warm days grilling fish on the stone-built barbecue, and cooking meat “under the iron bell” as the locals do. Apart from enjoying the pool we also went swimming to a nearby beach hidden at the bottom of reddish cliffs (check Pasjaca beach on Google). The house itself is very lovely, comfortable and with a lot of character, clean and extremely well equipped with every type of household item. The owners are very helpful, generous and most attentive to guests' needs. Myself and my family stayed here in August this year 2018. for one week. Did we had a nice time? No...we had a fantastic time! This is an old stone built villa with a guest house attached. Both accommodations are well furnished. And there are two kitchens, one upstairs in the Villa itself and a "Summer" kitchen at ground level which is ideal in the summer months when you are using the areas outside for eating..drinking..and relaxing. This is where we spent most of our time. There are lovely large grounds full of fruit trees, all of which we could make use of. We cannot forget the lovely swimming pool where our grandchildren spent quite some time throughout the day and in the evenings as the pool has lights. The location of villa meant we had many places of interest to visit but a car is essential especially if you want to visit Dubrovnik. There is also a lovely beach within walking distance of the villa but beware of the many steps you have to go down, and not forgetting of course the vineyards with free wine tasting! All in all we had a great time. I stayed at this villa with a group of friends in early September. It was a great experience. We had a private tennis court that we used, and we enjoyed grilling a lot. We also rented a boat to explore the surroundings. Fair price for 14 persons villa with pool and tennis court! My family always wanted to visit Croatia and its islands. With the help of Luxury Croatia team we finally got the chance to do it! We have aranged a house with pool in Šolta during mid september. The beach was closeby and it was perfect for our kids. My wife and I could enjoy the beautiful sun while the kids played around in the sea. Split is also nearby, only 40 minutes of ferry ride from the island. It's a nice city with acient and amazing history, and even more amazing people.